I chose this course because it contains a broad range of units that covered each topic that linked in with each other to provide a more comprehensive understanding of the IT fields. I also chose the multimedia major stream because I quite enjoyed animating and producing digital content which I often did as a pastime when in high school, so this course would essentially be an extension to my knowledge. 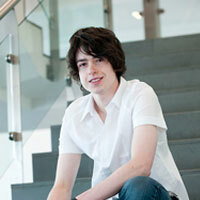 Trent also runs his own web development business while studying. He is gaining valuable work experience while completing his degree.